"God, is there any way...?" and my prayer slipped out as snow crackled and crunched under the car tires. Pulling into the dentist lot, I pocketed my keys, locked the door, and shifted black knit mittens higher up my wrists. A winter wind howled and whipped up snow in swirls around me. In the lobby a gas fireplace radiated tantalizing heat and the free hot coffee tempted me to sully my freshly-brushed teeth. "I have a coupon here for a cleaning," I said as I checked in. A plastic-tufted flower pen rode cheerily across my pages as I noted personal information. Several minutes later in a reclining dentist chair, I gagged on cardboard x-ray pieces, and apologized to the dental hygienist. In between putting cardboard into my mouth, we talked and got to know each other more. As she side-danced in and out of the room for the xrays and I wriggled my toes in frantic attempts to distract my gag reflex, we found more in common. Twenty minutes later, my jaw propped open and her face near mine as she worked patiently, graciously, on my mouth, I thanked her. In between water rinsings and removal, I repeated it. "Thank you for your work on me. I appreciate it. You must see some scary things," I laughed sheepishly. She had spent extra time on my mouth, I knew, and her generosity was meaningful. "You know, I see past the teeth," she said, her brown eyes the only thing I could see behind her green mask. I see past the teeth. Her statement stuck with me and its beautiful meaning has curled up and taken residence in my mind this weekend. Because we all have situations where we could merely see the teeth, merely see the task before us, and forget the person behind it. I see past the teeth. Whatever your job, whatever your volunteer position, whatever your role in your family or friend community, this deeper awareness of the people you are really showing love to and serving should bubble up. I see past the teeth. Crumpled between my hands in the reclining chair was a wadded tissue paper. Bringing it out off and on, I smiled and brushed away splashed water from my cheeks and chin. The hygienist's metal scraping tool pricked and poked, and I curled up my toes several times, and tried to focus on a spot behind her head on the ceiling. Distracting my mind, I reviewed a speech, worked on a verse, and intentionally relaxed my shoulders. "I'm fine. Thank you for your work on me today. I appreciate it," I grinned, swiping my right cheek again. "I think God used you to answer my prayer this morning." We have no idea the impact we have on people. When I worked as an RN I used to pray for God to help me see my patients as He does, to love them with His heart and to care for them in His love...it's not always easy to do but it's what Christians are called to do. Your post is touching. Thank you for sharing. God bless you! Hi Jennifer! I wonder if that hygienist has any idea how she affects people, just from having a wonderful perspective on doing her job? It makes me feel that whatever we do, we have a mandate from Christ to see him in it. In the people, in the work, in our lives. I'm glad it all went well for you! 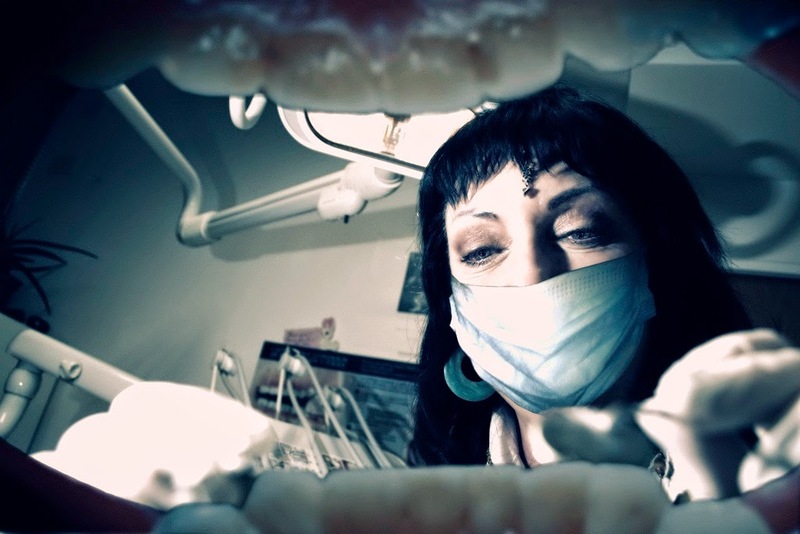 Wow, what a great approach your hygienist has to her work and to the people she serves. Definitely a lesson there for all of us. I pray that I will see past the teeth, too. Blessings to you, Jennifer! Powerful… I to need to see past the teeth. The person inside isn't defined by what they look like or even what they say… but by the love the Creator has for them. Lovely writing, I was really immersed! But a powerful lesson. See past the teeth. I'll be keeping it in mind. Thanks for sharing. I pray when I go to the dentist too! Great job finding a lesson in it. Jennifer, what was your prayer past the dot, dot, dot? Yes, seeing past the eyes, the sad smiles, the pasted on expressions... I agree. Grinning with you about braces. I had them in my junior high years, but my husband Mark had them in his thirties. We sympathize too. What a great prayer as an RN for the people around you -- and a good one for me too in my jobs. Thanks. I agree. And having that mindset adds such a sweeter perspective on every interaction, huh? How kind of the dentist to do that for you as a ministry gift. That's nice. I was thankful for my dental hygienist's generous time investment too that day. Seeing past the cover, the first impressions... yes. I liked your line about everyone having a story. I was impressed and touched by her too. How nice to meet you! Thanks for stopping in. Marco! What a treat to hear from you here. (grinning) The finished prayer request was, "Help me not have to come in for a more extensive process called scaling after this." It's painful and expensive. God answered that through her that morning.